Stikit is a versatile guitar shop tool. We're so impressed by the durability and performance of these convenient, self-sticking papers, that we use them —they simply outlast and outperform other sandpapers. The sharp aluminum oxide grit cuts like a file and doesn't load up with dust like ordinary papers. 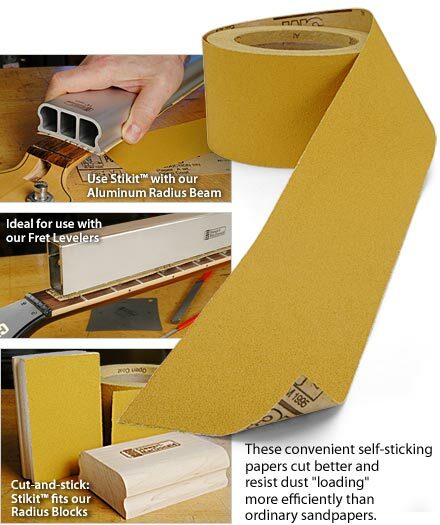 Click the button below to add the Stikit Gold Paper Self-adhesive Abrasives (3.0m roll) 80g - 800g to your wish list.